The Partnership for Advocacy in Child and Family Health (PACFaH) Project is a social accountability investment implemented through the strategy of coalition building to achieve the goal of catalyzing government’s responsiveness on policies, budgets and administration on the most daunting challenges to Child and Family Health (CFH) at national and state levels in Nigeria. The project is implemented by a coalition of eight indigenous Civil Society Organizations (CSOs) working in Child and Family Health. CS-SUNN under the PACFaH project is the nutrition issue lead with the mandate to advocate for the adoption and increased implementation of the National Strategic Plan of Action for Nutrition (NSPAN) with a focus on Maternal and Child Nutrition (in Kaduna, Niger and Nasarawa state) and for increase in the 2017 health sector budget (in Niger and Kaduna state). The NSPAN was approved by the National Council on Health in 2014, and targets to reduce stunting by 20%, low birth weight among newborns by 15 percent and increase exclusive breastfeeding rate to 5o percent among other targets. 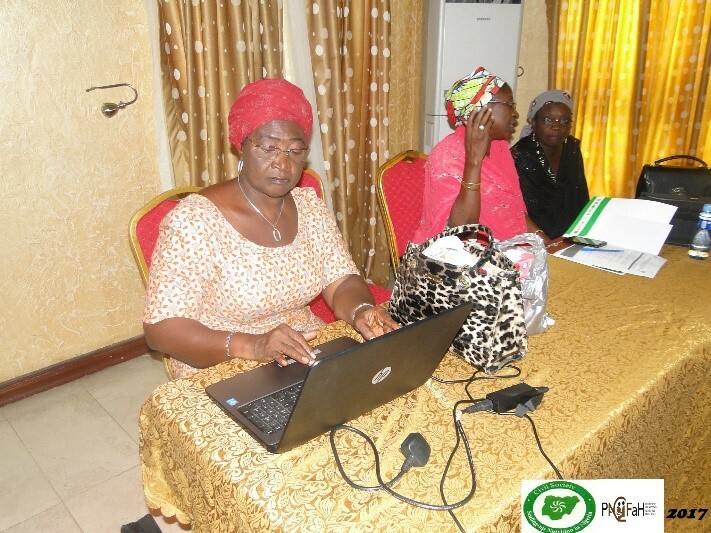 The MPTF grant provided the crucial support to the coalition to mobilize Civil Society Organizations (CSOs) to take actions that will eﬀectively tackle under-nutrition in Nigeria, in alignment with the Nigeria’s National Strategic Plan of Action for Nutrition (NSPAN, 2014 – 2019). 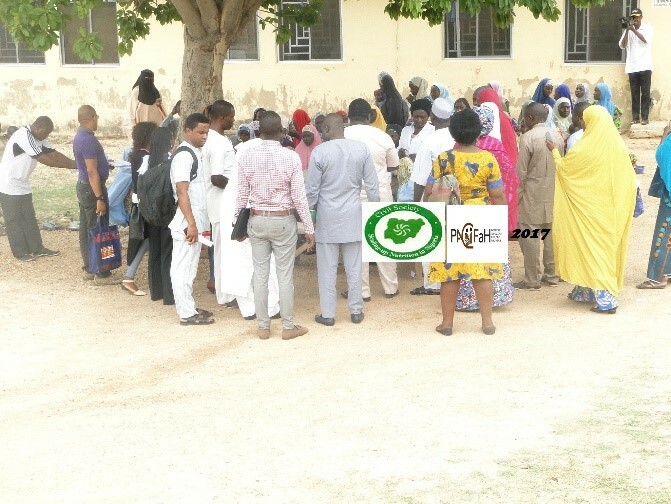 • Evidence based advocacy engagement with policy makers, legislator’s and key influencers for increased budgetary allocation to the nutrition and health sector at the national and focal states in 2017. To enhance experience sharing and learning between and within organizations. Increased awareness, support and implementation of the policy. 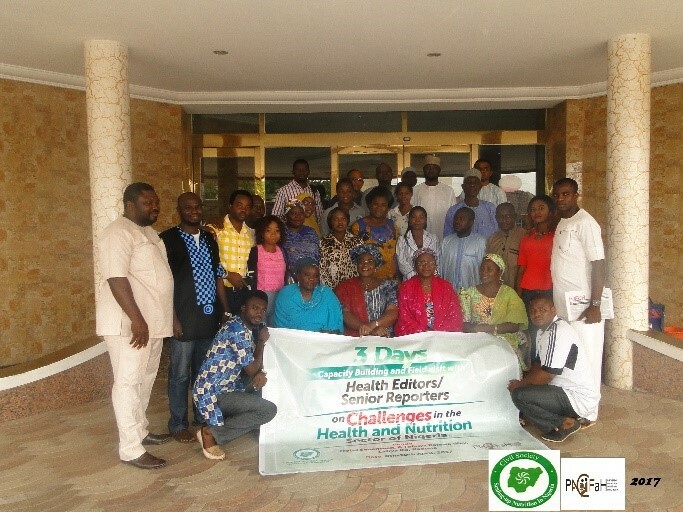 Number of TOT workshops held for nutrition CSOs on advocacy. Building the capacity of Identified nutrition stakeholders on nutrition advocacy, coalition building and partnerships were fundamental to the success of the project. Identification, improving the understanding of issues in CFH and providing adequate support to In-Government Champions were also critical to the success of the project. Supporting inter-sectoral collaborations and partnerships contributed to increased investment in nutrition and promoted the kind of synergy required for improved multi-sectoral approach to nutrition programme design and implementation. 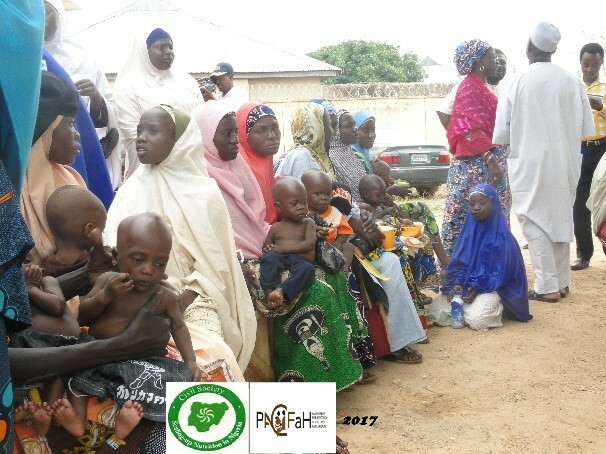 Achieving increase in budget allocation to the health sector in 2017 was made possible by the one strong voice raised by all the PACFaH partners working together. CS-SUNN measured the success of its advocacy in terms of level of scoring the states on the implementation of the Policy, availability of budget lines and funding and increased awareness and interests of Policymakers and CSOs in nutrition. Despite the successes of the PACFaH project, there is need to strengthen existing coalitions and provide continuous support to state actors to ensure sustainability of the gains from the PACFaH project. CS-SUNN will support those trained on the PACFaH project especially; the State CSO Coalitions to continue advocacy for increased funding for nutrition and track and monitor budgets. Best practices will be made available and will enable these nutrition actors to continue the PACFaH initiative. The Coalition will build on the successes of the PACFaH Project by incorporating key components that will sustain gains from the project in future programming.